Good day all Go Bake Yourself readers! I’m Meenakshi- a mommy with a sweet tooth and a love for spices, and I blog over at Masala Art! I am very excited indeed to be doing a guest post for Uru. She is one of my favourite bloggers, and one of the most supportive people in the blogosphere. I still remember her first comment on my blog- and when I clicked through, I discovered an enticing world of beautiful home-baked goodies. A girl who loves chocolate chips and Nutella is a girl after my own heart! Her delectable bakes and fun, witty writing style can charm the pants off anyone…and then, when you realize how very young she is, you can’t help but be amazed. Many bloggers have said this before, and I will too- I wish I had found my passion and had such focus when I was her age! My love or baking developed after my son was born. I suddenly had a lot of time on my hands, and I dove into the world of butter, sugar and flour. While I am partial to cake; I do enjoy cookies as well. They are a great treat to have on hand when you have unexpected guests coming over…or even otherwise! 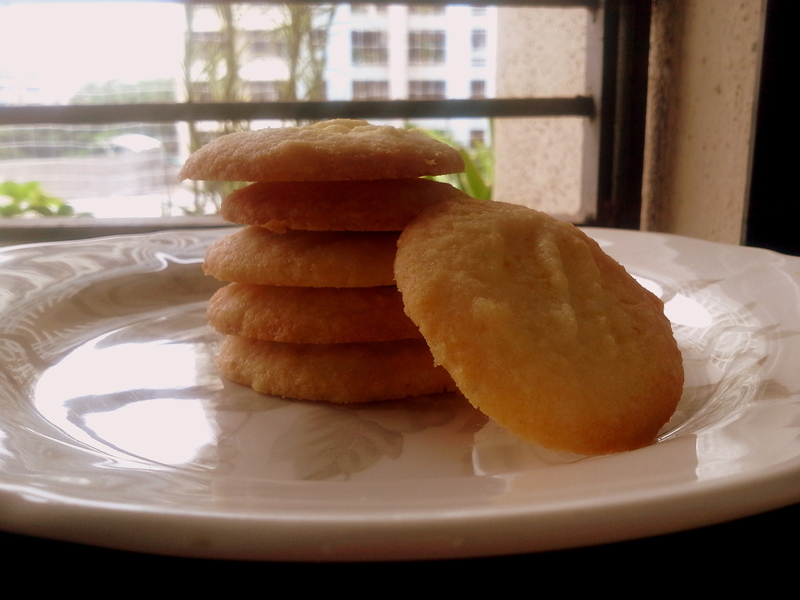 I recently discovered the amazingly-humble-but -awesome shortbread. It is perhaps the simplest form of cookie dough, and very, very simple to make. This is a recipe from Michael Ruhlman’s book Ratio, which I have tweaked with some lemon zest and Nutella. Micheal Ruhlman’s 1-2-3 Cookie follows a simple procedure. 1 part sugar : 2 parts butter : 3 parts flour. That’s it. So easy to remember! This could be 50 gms: 100 gms: 150 gms; OR 1 cup: 2 cups: 3 cups; any measure you’d like to use! 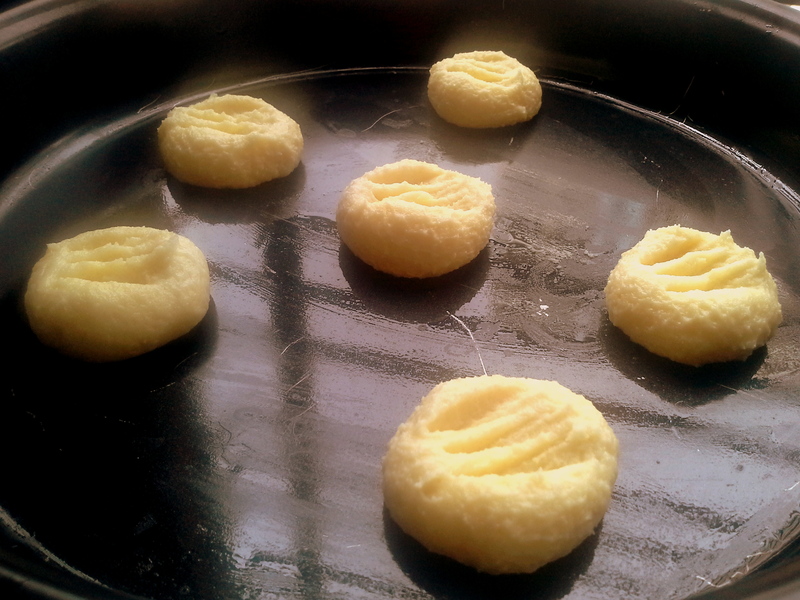 And once you have this basic shortbread cookie dough ready, the possibilities are endless. Add some cinnamon or vanilla. Use some melted chocolate or peanut butter for taste and texture; chocolate chips for a classic chocolate chip cookie; poppy or caraway seeds for a crumbly seed cookie; broken nuts like walnuts or pecans for a nibbly cookie. 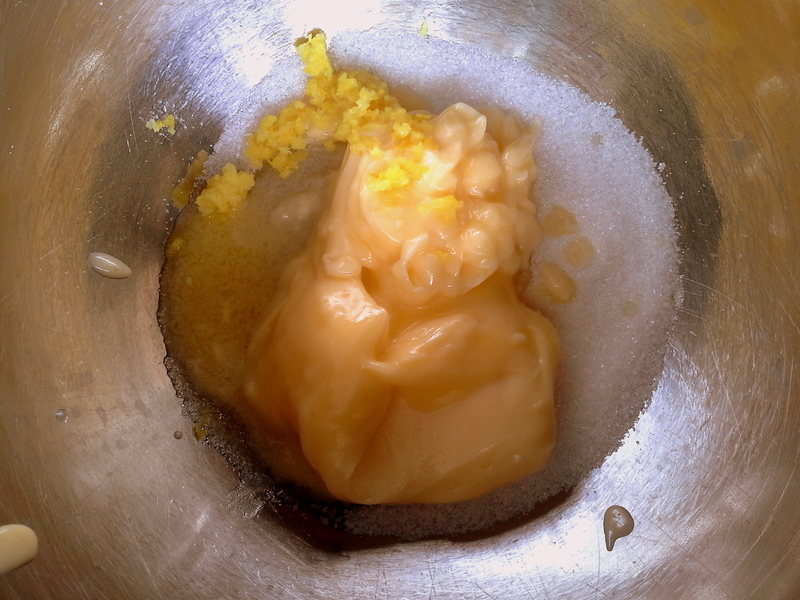 In a large bowl, cream together the butter, sugar and lemon zest until the mixture appears pale in colour. Sift the flour over the mixture and combine well. Fold in the almond meal. Shape the dough into a log or ball, cover in cling wrap and allow to rest in the fridge for 20 minutes till it becomes firm. Once firm, either slice thin discs from your log OR tear off teaspoon-sized pieces of dough and shape into balls with your hands. Place on a baking tray and gently press down with the tines of a fork. Cool completely on a wire rack before sandwiching with Nutella! Instead of using 150 grams of plain flour; I used half the amount of plain flour and half the amount almond meal, just to add richness and nibble. You can use 150 grams plain flour, too. Nutella and orange make a fine combination; but lemon makes an equally compatible companion. The lemon cuts through the richness of the Nutella and adds a light, floral zing. Hope you enjoyed this, and can’t wait to see what treats Uru has in store for us once her exams are over!! To see more recipes as yummy as this one, be sure to visit Meenakshi at Masala Art! Looks fantastic! Craving these as I type. Lemon and chocolate – a fabulous combination. Shortbread is so versatile. 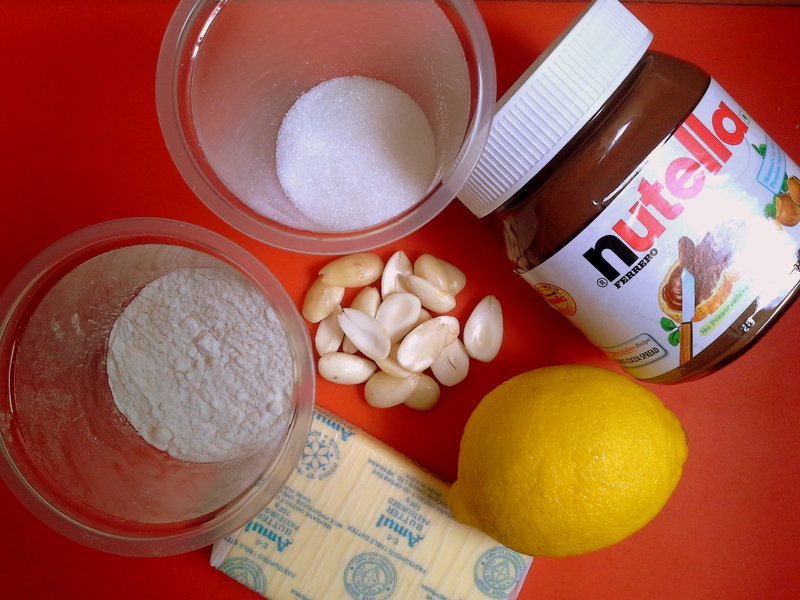 You managed to get a fantastic combo with lemon and nutella! Is it me or nutella goes with everything…ja. Nice meeting you Meenakshi! I love the simplicity of these and OMG lemon and nutella ! What a winning combination ! Hey Meenakshi, so good to meet you! I am intrigued. I am not a baker, but this gives me inspiration….1-2-3 sounds very simple and so easy to remember. I am absolutely going to try this. Thanks Uru for introducing Meenakshi…can’t wait to check Masala Art out. Lovely stuff! I’ll take lemon in anything, so of course I want to eat the whole batch of these! I would never think of combining nutella and lemon. I’m intrigued, I would love to try this! They are simply irresistible! Both ingredients are my favourites. Nutella with lemon shortbread? Interesting flavor combo! Lovely to meet Meenakshi and I can’t wait to try this recipe.